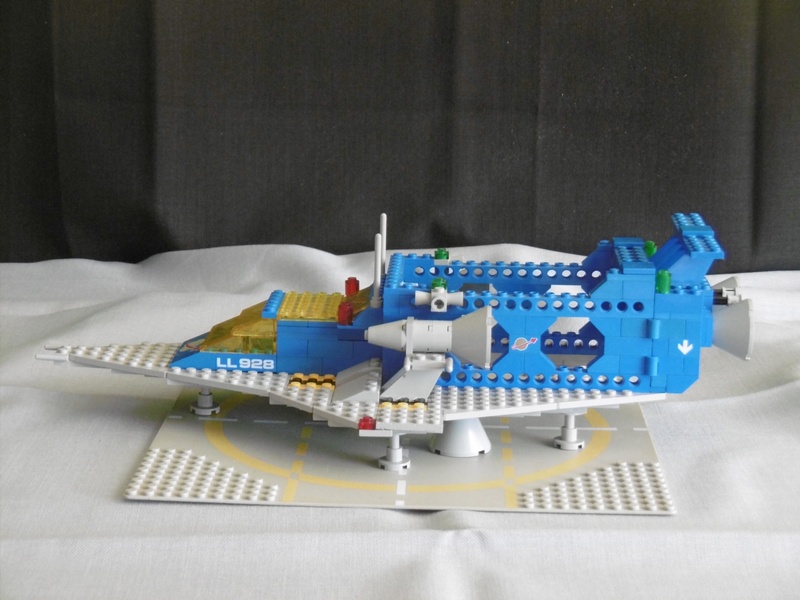 LL 928-C, my cargo version of the iconic LL 928. 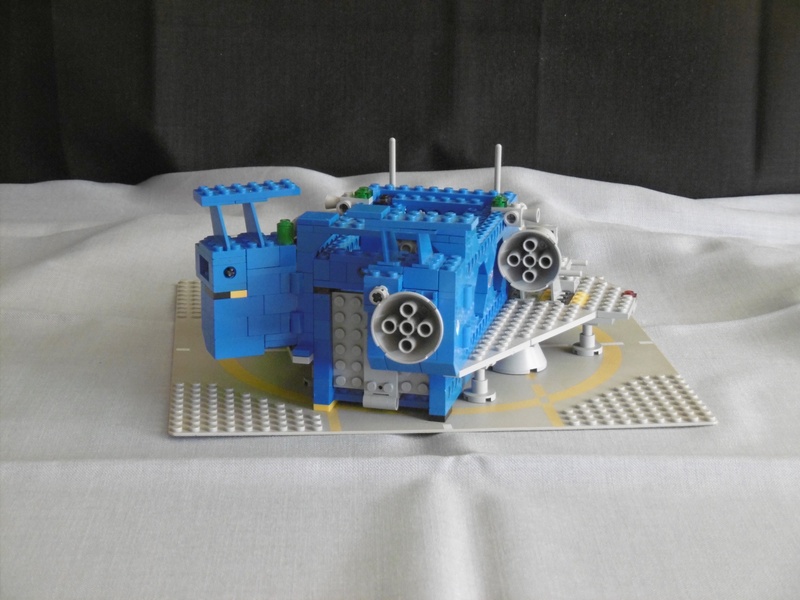 It’s able to carry a 8x16x8 “SCU” cargo container/module. 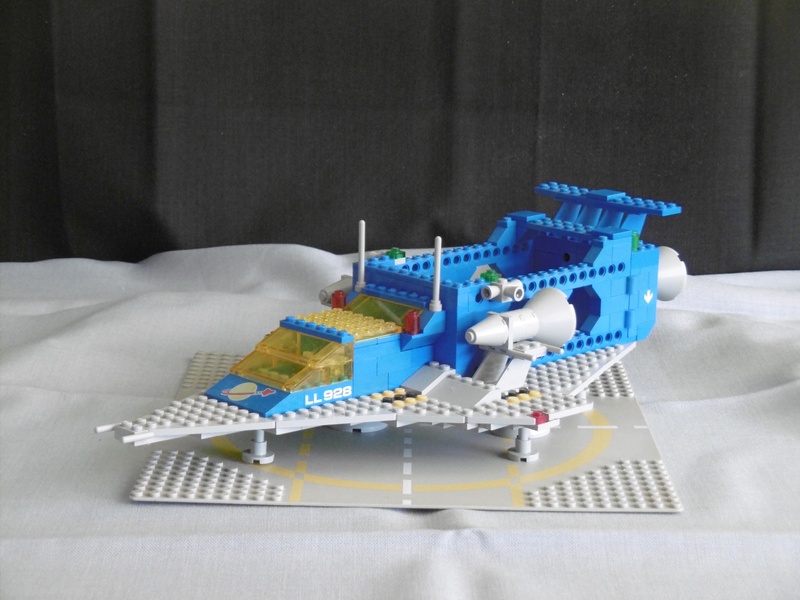 Back in 1978/1979 the LL 928 Galaxy Explorer was the “must have” for all Lego kids. I was lucky to get one for Christmas 1979 and I loved it. So, what’s better than an LL 928? Two ones! 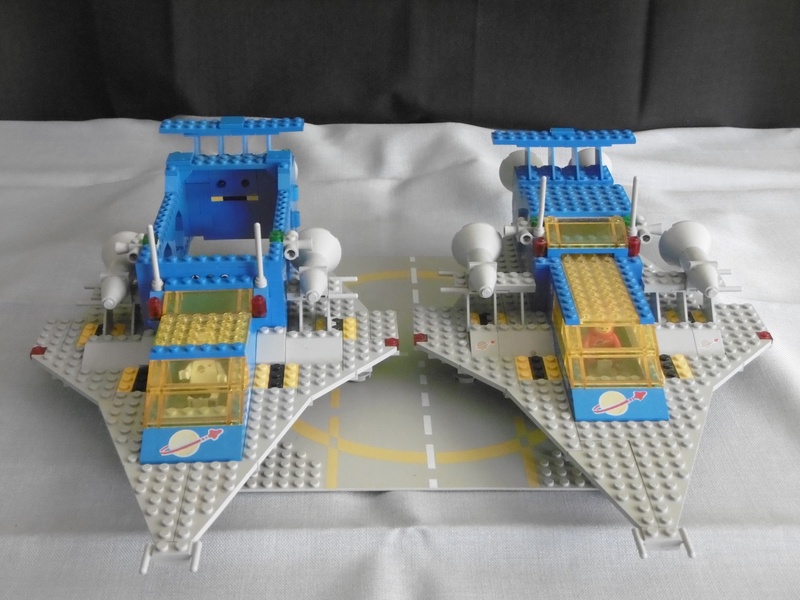 :-)) That was my first idea when I thought about expanding my Classic Space fleet a few months ago. 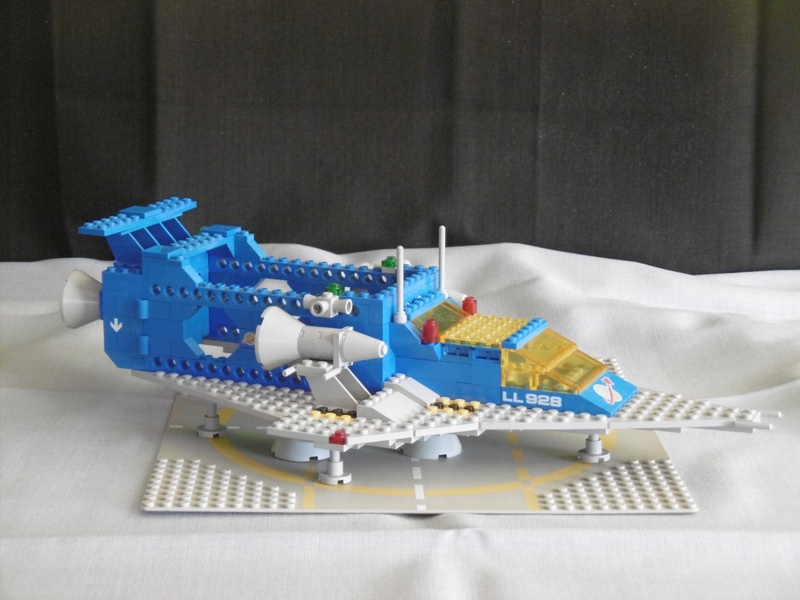 I already had collected a good amount of CS parts, I only needed a second pair of “LL 928” 1×4 bricks to build another LL928. 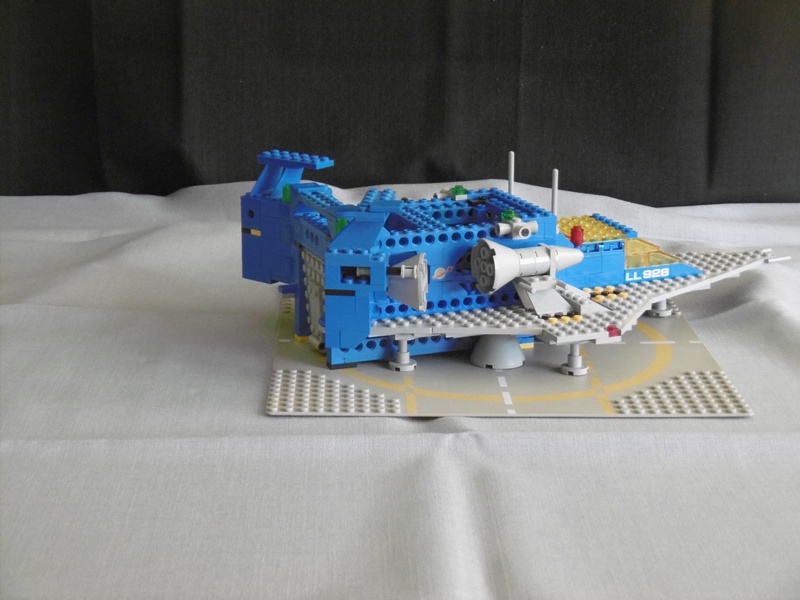 With Bricklink, that wasn’t a problem. 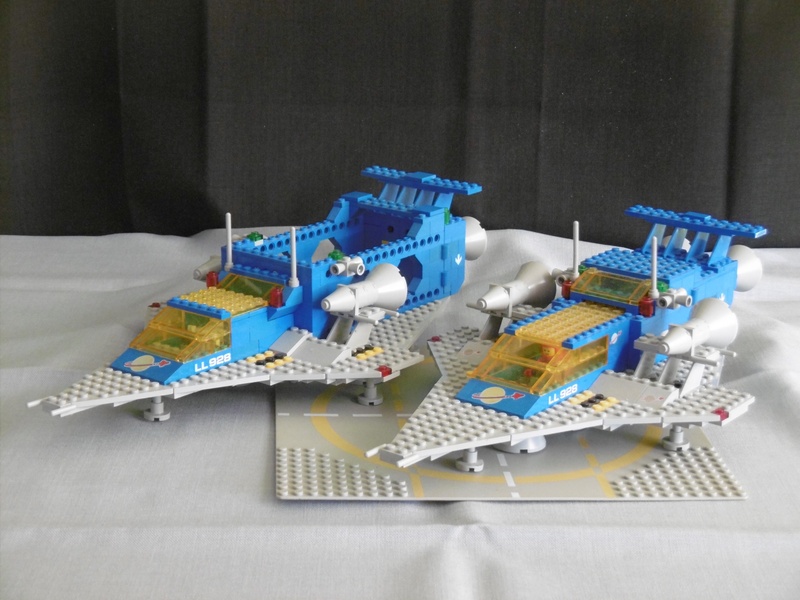 But then I thought that just having two identical ships would be quite boring. A new version with new capabilities would be much more exciting and more fun to play with. One of my ideas was a cargo version of the LL 928, like a modern cargo airplane based on a passenger model. 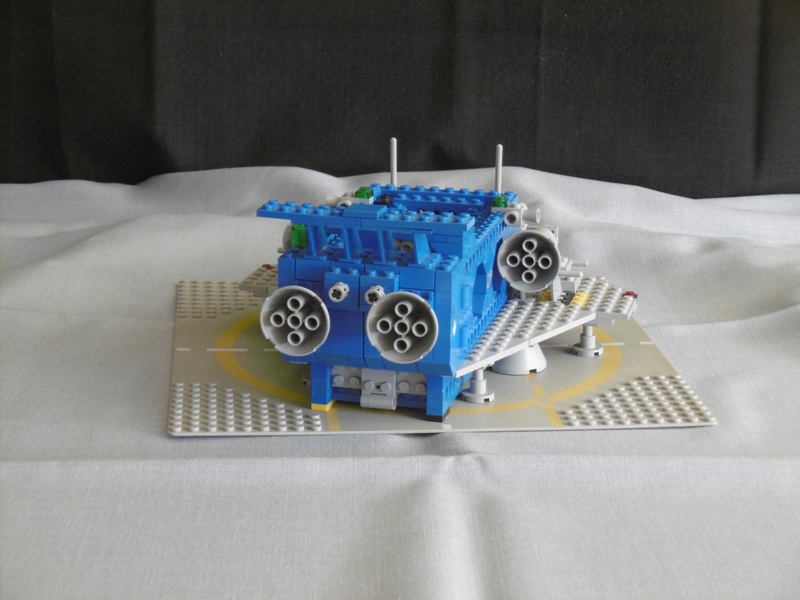 Thinking about that I realized that I still had only one spaceship to transport my new 8x16x8 Space Cargo Units (SCUs), so that would be the purpose of my new LL 928-C (C for cargo). 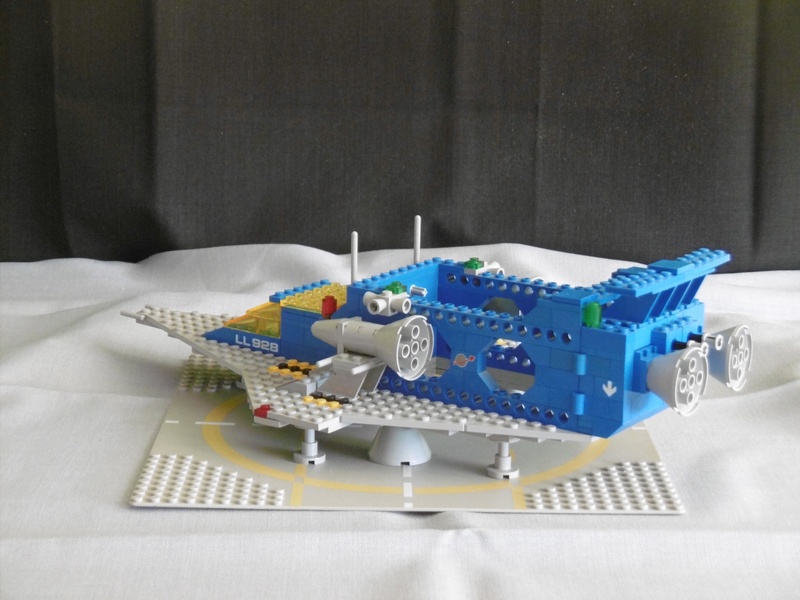 This time I started the design with real bricks, not with LDD. 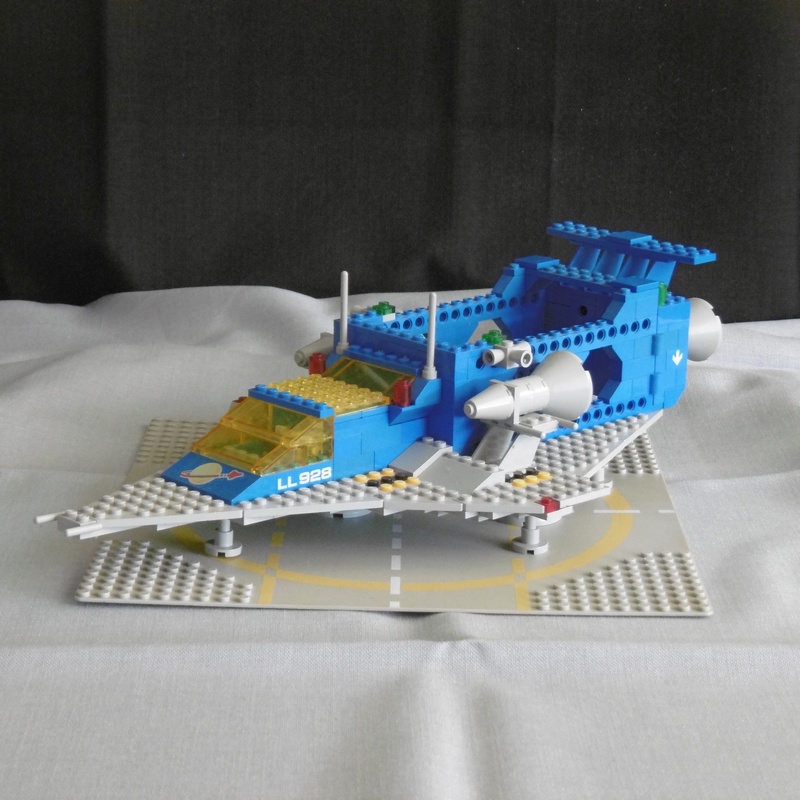 I started with the wing shape of LL 928, opened on the rear end to have an 8-wide interior cargo area instead of the 6-wide of the original model. 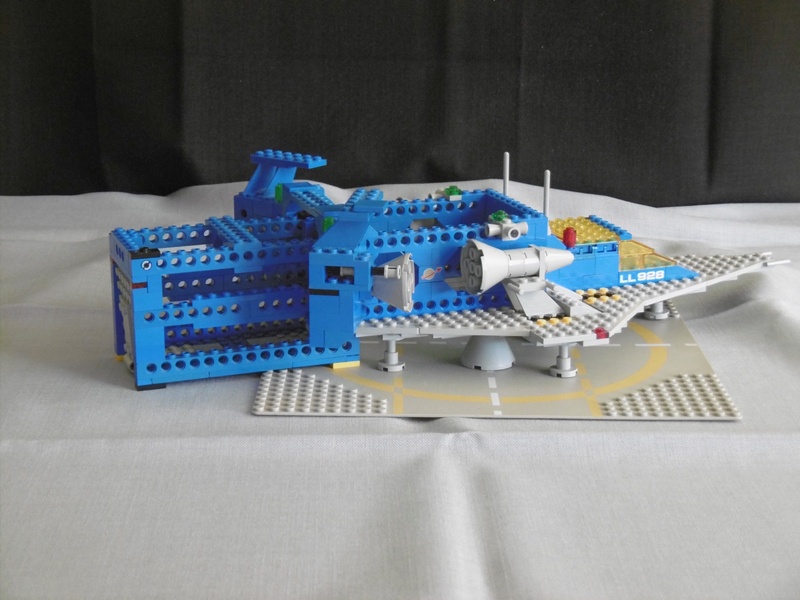 The main design idea was an open structure enclosing the cargo like a frame, similar to the 6929 All-Terrain Vehicle or the 6980 Galaxy Commander. I built the rest of the ship around the cargo area, with a shorter cockpit area placed in front of it. The rear end is an open frame built with four 1y16 Technic beams and some reinforcement between them. The cargo doors are very similar to the original 928. They are only one stud wider (each of them), with a locking mechanism added in the middle. I had to add an extra plate between the 2×2/2×2 brackets and the rocket engines to get the extra space for the mechanism in the middle. Side view: You can see the open structure of the cargo area. Rear view: There are 2 axle pins in the front of the cargo area. These pins and the axles inside the locking mechanism will fix the SCU container/module. Doors opening. 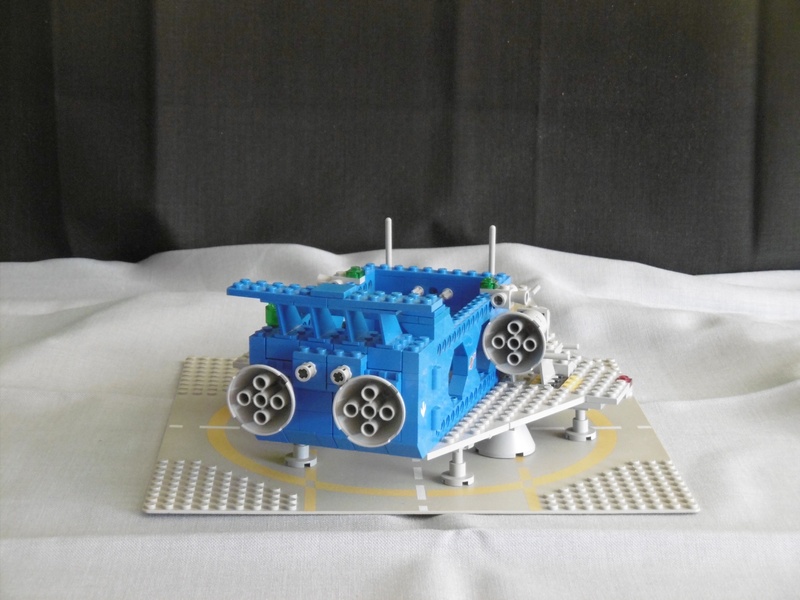 The locking mechanism is quite simple: 2 Technic bricks, a 6L axle and 2 stopper bushes on each side. It’s a compact version of the mechanism that I’ve used for the LL 926 Space Crane. And closed, ready for take-off. Side view with container and closed doors. LL 928-C compared to the original LL 928: The cockpit section starts three studs more in the front and is much shorter. 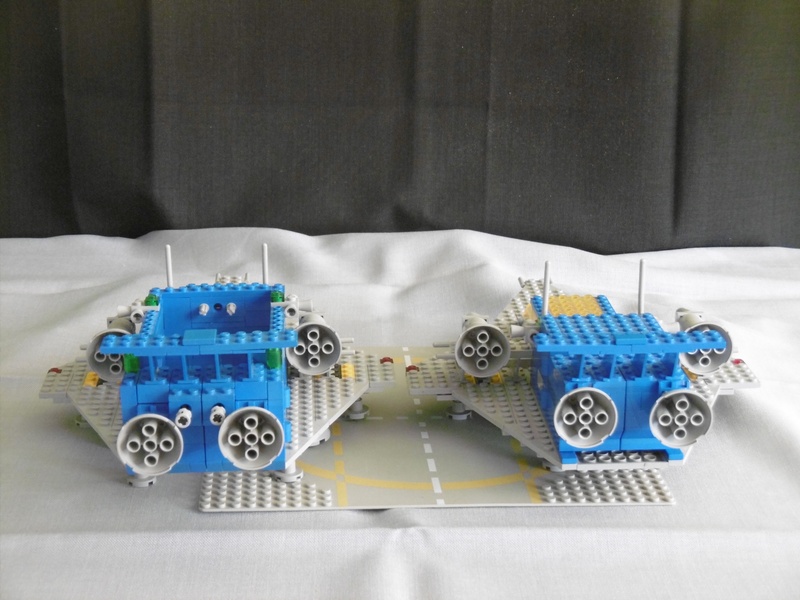 The cargo area is much longer and 2 studs wider. The grey 2×3 slopes in the middle are lifted by one plate to add some extra rigidity to the frame below. The additional rocket engines on the side each have 2 post instead of 3. Rear view: The extra two studs in the width are widening the rear wing section, too. The rocket engines have to be placed a little lower to get space for the locking mechanism between them. “Birds eye” front view. The LL 928-C really looks familiar. 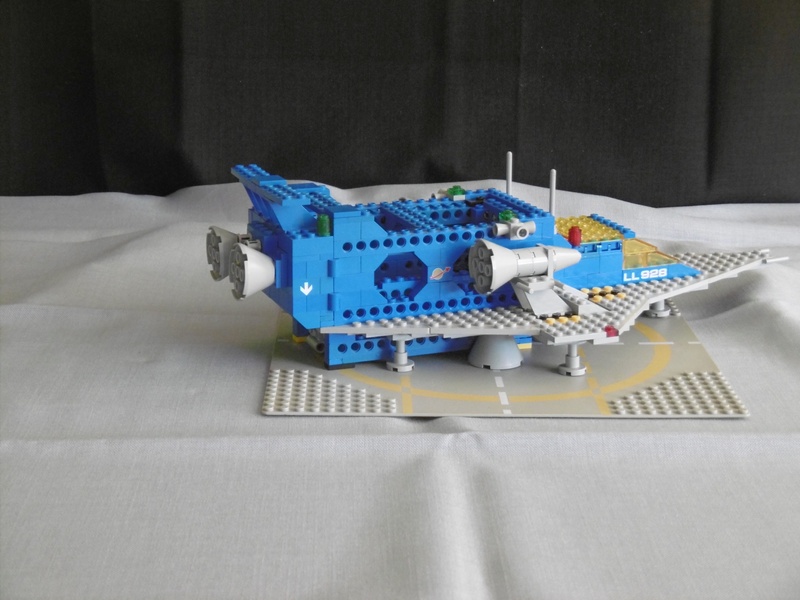 So this is my Lego Classic Space LL 928-C, a cargo version of LL 928. For me it looks like a semi truck for space transport. I hope you like it :-)). 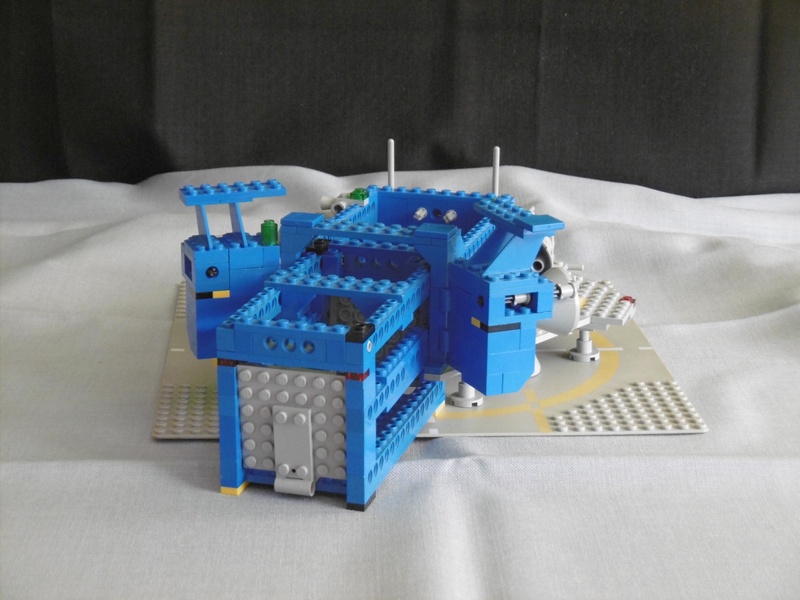 OK, here is another transporter for my “SCU” Containers.